Chiropractic for spondylolisthesis is a popular form of pain management that uses spinal adjustments and other natural methods of care. However, there is no universally accepted evidence that chiropractic therapy can reverse spondylolisthesis and it may even exacerbate symptoms when adjustments are not carefully selected by the treating doctor. On a positive note, chiropractic can effectively reduce pain that might be created through mechanical dysfunction of joints related to listhesis issues. It is obvious to us that chiropractic once again is a very controversial therapy, as there are exponents and critics, each with valid points to champion. Chiropractic is the world’s third largest healthcare discipline. There are so many chiropractors and different types of chiropractors, so generalizing about the type of treatment offered and the effectiveness of said treatments is rather difficult. However, for the sake of this essay, we will discuss general chiropractic philosophies of care for listhesis and detail the potential benefits and limitations experienced by patients. This dialog provides an overview of spondylolisthesis treatment using a chiropractor. We will contrast the types of treatment utilized against traditional medical care and examine the positive and negative aspects of this all-natural form of spinal optimization. What is Chiropractic for Spondylolisthesis? Chiropractic is a complementary healthcare science that is primarily concerned with facilitating proper neurological functionality by correcting and maintaining spinal alignment. Chiropractors believe that the spine is susceptible to small movements that can reduce its functional capacity by limiting nerve function. These movements are called subluxations. Chiropractors claim to be able to manually feel and see visual evidence of these subluxations, but medical science does not recognize their existence or the diagnostic processes used to identify them. Chiropractic is a non-pharmaceutical and noninvasive form of care that uses soft tissue work, vertebral manipulation, joint manipulation, nutritional counseling and possibly other modalities, such as TENS, cryotherapy, laser therapy, diathermy and spinal decompression. Chiropractors believe that the body can and will heal itself of injury or disease if this process is facilitated by overall good health and spinal alignment optimization. Since spondylolisthesis is a medically-recognized condition that presents obvious evidence of its existence, it is easy to judge the effectiveness of chiropractic modalities on the reversal of vertebral migration. 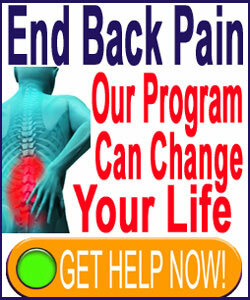 However, it is much more subjective to judge the efficacy of chiropractic on mitigating the symptoms of the condition. Some chiropractors make sweeping claims about the effectiveness of their particular types of care programs for listhesis issues. Other chiropractors (the majority) tend towards claiming reduced symptoms and greater functionality, but fall short of claiming ability to reverse the condition. Most medical doctors dismiss chiropractic all together, or at least for listhesis conditions, often citing the potential for great injury to patients who demonstrate pars interarticularis fractures who receive thrusting and torquing types of adjustments. The point that many doctors on both sides of the argument miss is that spondylolisthesis comes in several forms and with different causative mechanisms of action. We tend to agree that chiropractic can benefit general listhesis when used carefully and conservatively to improve surrounding joint functionality, as well as increase muscular strength to help stabilize the backbone and reduce the chance for slippage progression. However, physical therapy might be just as effective or even more so. We also tend to agree that in cases of listhesis that are primarily caused by certain specific conditions, such as ligamentous concerns, chiropractic has a better chance of actually reversing the migration of the affected vertebral bone, so even very ambitious claims of efficacy might be valid. Our criticism of chiropractic begins with the fact that some or all benefits might be the result of placebo in some patients. This has been studied widely and shown to be the case for many diagnoses and conditions, including spondylolisthesis. We can continue to find fault when over-aggressive chiropractors use techniques that can injure patients. We have seen many, many instances of chiropractic injury over our years of service to our readers and have been victimized by these traumas ourselves. Chiropractors downplay the frequency and severity of these issues, but we tend to disagree on this point, since there are many chiropractors who really could use a bit more caution and consideration before treating pained patients. Obviously, this is a comment on individual care providers and not the system of care as a whole, just to be clear. Chiropractic can be very safe when applied by a knowledgeable and prudent caregiver. When it comes to comparative analysis, chiropractic demonstrates some distinct advantages over traditional medicine, as well as some shortcomings. 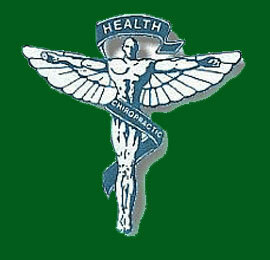 Chiropractic is all natural, nonpharmaceutical and nonsurgical. These are all excellent attributes that weigh heavily in its favor. Chiropractors are usually much more personable, accessible and generally will custom-tailor their treatment more than medical doctors. Once again, these are pluses for chiropractic. Symptom-reducing results are mixed, which leaves chiropractic to be judged as being “effective” on a case-by-case basis, but this applies to many therapeutic approaches. On the negative side of the coin, chiropractic can not address cases of listhesis that do require surgery, nor should it attempt to. Chiropractic can injure patients; although so can many medical techniques and treatments. All you have to do is research all of our writings on the horrific consequences of drug and surgical treatments for virtually all dorsalgia diagnoses to see where we stand when it comes to the safety of traditional care techniques… Chiropractic might not provide any curative benefits for most types of listhesis, but it may be able to reverse some specific types and cases. As always, we anticipate criticism of this essay by chiropractors and medical doctors alike. Both will say that we are not hard enough on their adversary and should be critical on their “accepted” way of doing things. We welcome your critique, but will never let it stop us from reporting the objective truth. Our mission is to serve our readers, not propagate your system of healthcare and moneymaking. We will provide unbiased analysis based on independent research that meets our stringent guidelines for scientific logic. You can complain all you want, but your efforts will be better served by improving your therapeutic offerings, thereby enhancing patient outcomes. In the end, if you can really make a difference in treating spondylolisthesis, the word will spread organically and our opinion will turn in your favor naturally. In the meantime, both sides can stop trying to convince us using propaganda and highly suspect, manufactured “evidence”. Thank you.